For more than six years, homeowners faced with the unfortunate decision of having to short sale or give up their home to foreclosure were saved from the additional burden of a large tax bill on April 15. In 2007, Congress passed the Mortgage Forgiveness Debt Relief Act. The primary goal of the Act was to avoid the situation where a struggling homeowner would lose their home and then have to pay tax on the income from forgiveness of debt. The Act was always meant to be a temporary measure and it was to sunset after three years. It was extended twice and finally expired on Jan. 1, 2014. One would think that this would be catastrophic for homeowners, but for Califor- nians it may be the silver lining to a dark cloud. Forgiveness of Debt has been recognized as income under the tax code for decades. However, up until recently most Americans had never had any real experience with significant forgiveness of debt. For example, if a homeowner has an outstanding balance of $100,000 on their loan and the house sells for $50,000, there is $50,000 that the bank writes off. The write off is a forgiveness of debt and the $50,000 is added as income to the homeowner’s income tax return. If the homeowner is in the 15 percent tax bracket, that’s an additional $7,500 of tax due. Like most scenarios involv- ing taxes, there is a rule and then a long list of exceptions. 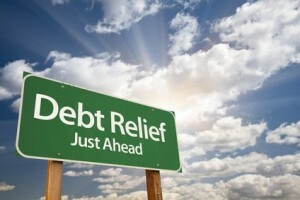 One of the most important exceptions to forgiveness of debt is non-recourse debt. Non-recourse simply means that the bank cannot collect against the borrower person- ally in the event of default. In California, most purchase- money mortgages of primary residences are non-recourse. As a result, these loans have no forgiveness of debt income. The problem is that the minute you refinance you lose the exemption. In 2010 and 2011, the California legislature acted to prevent banks from collecting personally against homeowners if they approved and completed a short sale. While the bank was barred from collecting against the homeowner, there was still the thorny issue of taxes. The common wisdom among tax professionals was that these laws did nothing to convert what was recourse debt into non-recourse. Then on Sept. 19, 2013, a two page letter to Senator Barbara Boxer threw that common wisdom on its head. The letter was a response to Senator Boxer’s concern over the impending expiration of the Mortgage Forgive- ness Debt Relief Act. The Office of the Chief Counsel pronounced that the new laws effectively converted all short sales to non-recourse debt. The implication of this pronouncement has some far-reaching consequences that should be mostly good for California homeowners in short sale or foreclosure. Counsel is not actually binding on the IRS. That being said, the IRS is not exactly basking in the glow of great press lately. For the IRS to take a position contrary to that in a letter to a U.S. Senator on such an important issue would be rather shocking. What this means for homeowners is that they should breathe a sigh of relief as it relates to moving forward on a short sale or foreclosure. However, it does not mean that all tax issues have evaporated. Homeowners still have to worry about capital gains which can be a big issue especially if there was cash-out borrowing. For those that have already had foreclosures or short sales over the past three years and paid tax, you should review your tax returns with an experienced CPA or tax attorney. For more information on this and other short sale related topics, contact Chris Schneider, Attorney at Law with Dorband & Schneider LLP, 925-938-1200, or Scott Fuller, broker associate with Keller Williams Realty, 925-855-3432.